Please note: This competition has now closed. 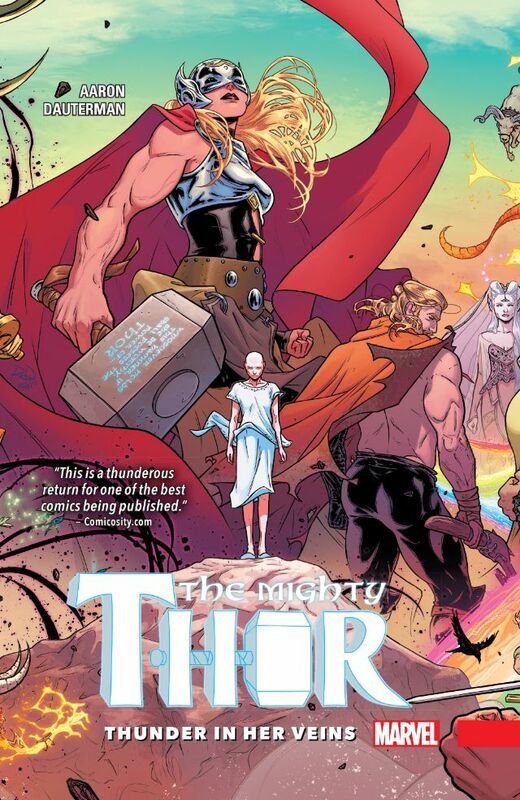 This is your chance to win a copy of the Marvel graphic novel The Mighty Thor: Thunder In Her Veins, recently covered in my review. You want to win this one because it’s a damn good read! Send your details and answer to thegenrefiend(at)gmail(dot)com – the competition is open now and will close next Friday, August 12.